“Oh.my.goodness. I have just seen the link to this thread. I actually can hardly type through the tears – I just cannot believe that you are all willing to make and give this amazing wonderful gift to a complete stranger. 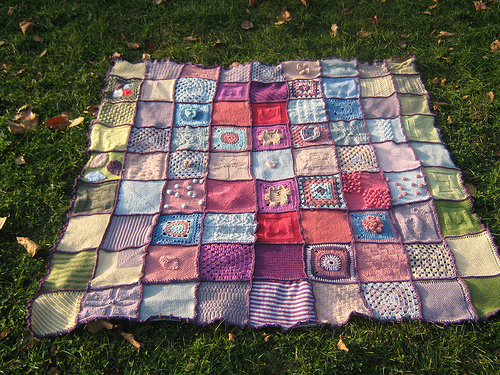 I don’t know if cwwm said but I will be giving the blanket to my elder dd Katie and telling her it was made by the loveliest ladies for her from Erin and that when she has it over her it will be Erins way of giving her a cuddle. Links to the original threads may be found here, and here.